In December 2014, Green Elephant made a donation of R1500 to Oasis, a Cape Town-based association that assists people with intellectual disabilities. The donation was meant to help Oasis put together food parcels as part of their annual Christmas drive. 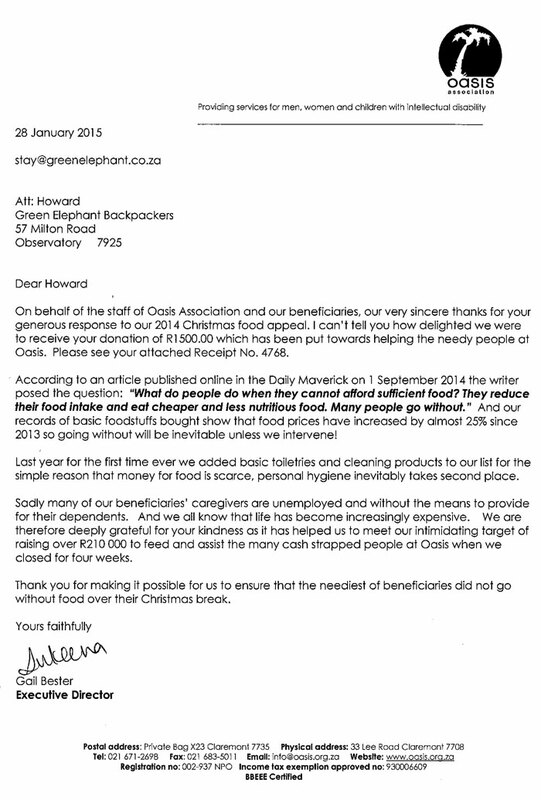 Oasis Executive Director, Gail Bester, sent Green Elephant letter thanking us for our contribution.